Are you looking for an expert freelancer to help you with a project? These professional freelance services are a crowd-based marketplace for talent. 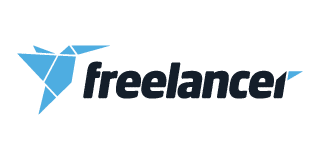 Whether you’re looking for a freelance designer, writer, programmer, project manager or any other job specialty, the services below will help you find the perfect freelancer for you. We calculate our rating based on 4 core components: competitive offering, user experience, site authority and online reviews. How do freelanceres platform work? While each freelance services site offers their own unique pricing and specialty, each of these crowd-based solutions have one focus: successfully and promptly completing your project, at a budget that works for you. 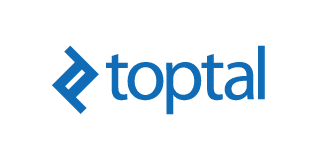 For example, Toptal, a site that connects you with the top 3% of freelance professionals, is perfect for a client looking to successfully complete complex projects. Even though every pro service site has fundamental differences, the basic premise remains the same. These are the basic steps you can expect from each freelancer services site. These are the basic steps you can expect from each freelancer services site. Write a project description. This is where you’ll provide an overview about your project. This is a very important part of the process because the description tells freelancers what your project is all about. The description should include a basic overview of the project, your expected timeline and your budget. Matching with a freelancer. After you submit your project description, freelance professionals will be able to view your job while they browse for work. When a freelancer finds your job, they will submit a proposal for the project. A proposal might include their pay rate, their resume, a cover letter and samples of their work, allowing you to see the quality of their skill before you make the decision hire them. When you use Toptal, the process is slightly different. Once you submit your project description, you’ll be contacted by a Toptal Sales Specialist who will discuss your project in further detail, allowing them to customize the freelancer matching process. Since crowd-based sites connect you with so many freelancers, you can expect to get multiple proposals. A large number of applicants allows you to choose the very best freelancer for you. Discuss the details. Once you have chosen your freelancer, it is time to iron out all the details. This is the step where you negotiate a pay rate and a deadline that you and your freelancer are both comfortable with. On some of the platforms, you might also discuss how you wish to divide up the payments. Some people prefer to be paid hourly, while others would rather receive a flat-rate at the end of the project. Complete the project. Once the freelance professional submits their finished work, you can review the project to make sure it meets all of your expectations. If the submitted project looks good, you can then approve payment. 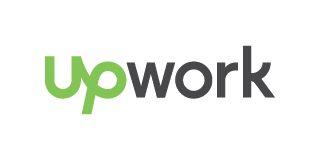 Some of the sites, such as Upwork, allow you to keep a contract open if you would like to continue working with the same freelancer. Professional freelance services connect you with an unmatched number of expert contractors. Technology has made it possible for companies of all sizes to hire expert freelancers, quickly, affordably and remotely. Over the past few years, professional services have made it easier to connect to expert freelancers. There is no other type of service that offers the same scope and skill-level as crowd-based freelance services. 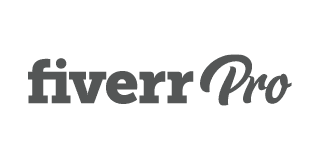 In addition to providing access to hundreds of thousands of freelance workers, professional service sites also allow clients to rate and review their freelancer. This allows clients to get honest feedback about a freelancer’s past performance before they decide to hire them. If a professional freelancer has ever had any issues with past projects, the reviews will let you know. Client reviews help ensure that freelancers are highly-skilled and reliable. Sign up and get an email when a great offer comes along.